Described as a “child prodigy” and hailed as the first astrophysicist to win a Nobel Prize for his theory on the evolution of stars, Diwali on Thursday would have been Subrahmanyan Chandrasekhar’s 107th birthday. In his honour, Google is changing its logo in 28 countries to a doodle, or illustration, of him and the Chandrasekhar Limit. Born in Lahore in 1910 to a Tamil family, Chandrasekhar was home tutored until age 12. In his autobiography, Chandrasekhar referred to his mother as “My mother Sita was a woman of high intellectual attainments”. His uncle, Sir CV Raman, won the Nobel Prize in Physics in 1930. Also in 1930, Chandrasekhar completed his bachelor’s degree in physics at the Presidency College in Madras, India (known today as Chennai). Chandrasekhar was then awarded a scholarship by the government of India to pursue graduate studies at the University of Cambridge in the UK. He completed his PhD studies in 1933. Married to Lalitha Doraiswamy in the southern Indian city of Madras, Chandrasekhar praised his wife’s “patient understanding, support, and encouragement” and called those the “central facts of my life”. 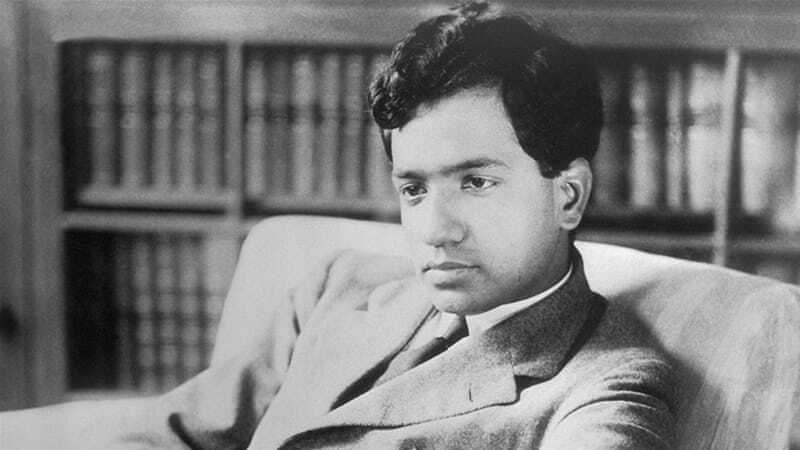 Working as a researcher at Cambridge University, Chandrasekhar made his most significant discovery, which became known as the Chandrasekhar Limit. But his colleagues were sceptical of his discovery and sought to discredit it. According to the Open University, English astronomer Sir Arthur Eddington persuaded Chandrasekhar to present his findings at the Royal Astronomical Society in London on January 11, 1935. At the astronomical society, Eddington then gave a lecture to “demolish the young researcher’s calculations and theory, dismissing it as mere mathematical game playing”. More than 30 years later, in 1966, scientific research with computers and the hydrogen bomb gave credit to Chandrasekhar’s calculations. Black holes, central to Chandrasekhar’s theory, were identified in 1972. His calculations contributed to the understanding of supernovas, neutron stars and black holes. In 1937, Chandrasekhar emigrated to the US and started working at the University of Chicago. During World War II, he was invited to join the Manhattan Project at Los Alamos to make a nuclear bomb, but delays in the processing of his security clearance prevented him from joining. Still, Chandrasekhar contributed to the war effort, working for the Ballistic Research Laboratory in Maryland. In 1953, 16 years after he came to the US, Chandrasekhar was granted US citizenship. He died in Chicago at the age of 85. In his autobiographical sketch for the Nobel Prize ceremony, he described what motivated his scientific quest, “When, after some years of study, I feel that I have accumulated a sufficient body of knowledge and achieved a view of my own, I have the urge to present my point of view, ab initio, in a coherent account with order, form, and structure”. In an interview, Chandrasekhar praised the US, “I have one advantage here in the United States. I have enormous freedom. I can do what I want. Nobody bothers me”. When Chandrasekhar was 43, he was awarded the Gold Medal of the Royal Astronomical Society. At the age of 56, he was awarded the National Medal of Science for his numerous contributions to stellar astronomy, physics and applied mathematics. At the age of 61, he was honoured with the Draper Medal from the US National Academy of Science for his leadership in, and major contributions to, the field of astrophysics. In 1983, at 73 years of age, Chandrasekhar shared the Nobel Prize in Physics with William Fowler for his theoretical studies of the physical processes of importance to the structure and evolution of the stars.